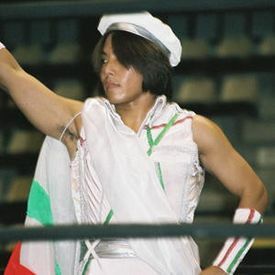 Ultimo Dragon trainee in the early 2000s under both his real name and his Italian character. Made a one off appearance on AAA TV in August 2005. This page was last edited on 7 March 2016, at 13:34.